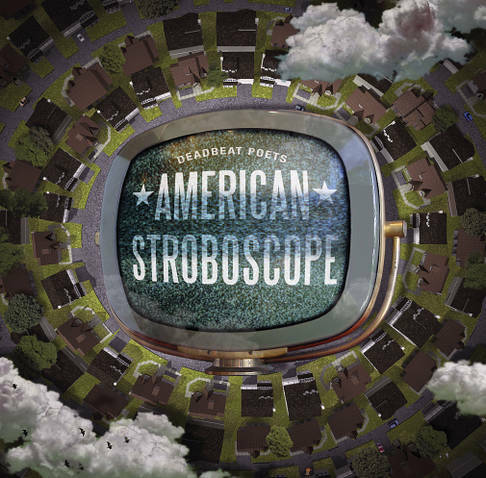 This should be the Deadbeat Poets breakthrough album, if there’s any justice in the world of rock music. Sad to say, there is little of that to be found. I suppose you could call these guys a supergroup, or a Northeast Ohio supergroup anyway. Terry Hartman was a member of the Backdoor Men, and Frank Secich was in Blue Ash, while Pete Drivere and John Koury were formerly part of the Infidels. In any case, they’ve paid their dues, and they’re damned fine musicians who have coalesced into a great band. You can hear elements of some of their former bands here, along with a lot of other stuff. They’re described as a power pop band, but they’re one that infuses elements of punk, glam rock, country rock, and anything else they happen to like. That hardly describes them, because they’ve got their own unique style: quirky, with lots of time changes and excellent vocal harmonies. It's not terribly profound, but it's really good. This is their their fourth, or perhaps fifth release since 2007, depending on whether you count EPs. I haven’t heard most of the others, but I did listen to Notes from the Underground, listed as their first. I liked it, but was sort of lukewarm at the time. But that was their first effort from six years ago, and this album is another story entirely. The opening track is pure dynamite. “Throw the Bums Out” is a pounding pub rocker worthy of Ian Hunter, and written by Hartman. Things don’t quiet down, but change gears with “I Understand Alright,” a throwback to an earlier time, with an eclectically shifting beat that shuffles and bobs along. That eclecticism continues with “Jennyburg Hill,” also written by Secich, in a catchy pop vein that rocks out in the bridge. Drivere shines here with some scorching guitar work. John Koury’s only song contribution, “2000 Miles Away from You,” is a solid piece of Americana, with a touch of Chuck Berry and catchy hooks. “A Personal Business Matter” continues Secich’s fusion of pop and driving guitar, while the closer is another Hartman tune, closer to Springsteen in tone than the opener, with a real Midwest feel. The only drawback to this album is that there are only seven tracks. That’s not enough. I want more. I also don’t know what the title means. 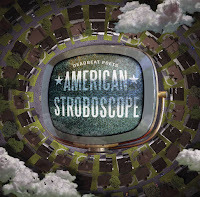 A stroboscope is a machine that captures moving objects or lights as a series of still pictures, making the movement appear stationary. This makes little sense, since the Deadbeat Poets show constant movement here, but if they want to call it that it's fine with me. Personnel: Terry Hartman (rhythm guitar, vocals), Frank Secich (bass, lead vocals), Pete Drivere (lead guitar, vocals), John Koury (drums, vocals), Unknown keyboard player, who’s really good. Tracks: Throw the Bums Out, I Understand Alright, Jennyburg Hill, 2000 Miles Away from You, Who’s Hieronymus Bosch & Why is He Saying These Terrible Things About Me?, A Personal Business Matter, Down with the Lonely Boys. This is a plug for Nighttown, the best place in Northeast Ohio to listen to great jazz. It was prompted by Cool Cleveland's posting of a video of Thomas Mulready interviewing Jim Wadsworth, proprietor of Nighttown. Lou Ragland. I Travel Alone. 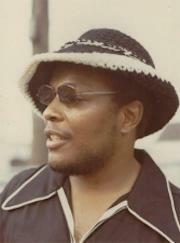 Lou Ragland was an important figure in the Cleveland soul/funk scene of the late 1960s and 1970s. Singer, songwriter, performer, producer, road manager, and entrepreneur, Ragland did just about everything, and through a string of short-lived bands, created a legacy of fine recordings. Although he never broke through to the national market, It’s clear that he both reflected and influenced the music that did hit the charts. This 3-CD compilation (also released as 4 LPs, for the vinyl freaks out there) brings together a portion of that legacy, moving in chronological order from his early releases, through his Hot Chocolate (not the British group) and solo work. It excludes his 80s work with the Great Lakes Orchestra in Las Vegas, and later material. Born in Cleveland in 1942, Ragland worked his way into the music business, through the clubs, passing through Way Out, Boddie, and Agency Records. He was a road manager for the O’Jays for a couple of years, before they hit the big time, and worked for a short period with Billy Ward & the Dominoes. But his body of work here is all Cleveland. 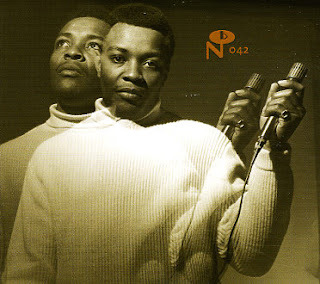 The first CD in the set begins with his earliest singles, including the song that forms the title of the collection, and they are fine examples of Northern soul, along the lines of Motown (he was buddies with Edwin Starr). 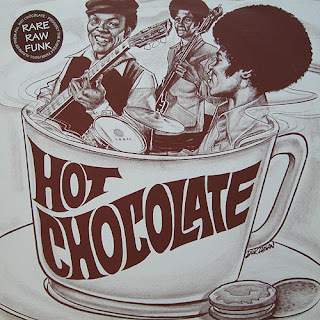 A couple of tracks with the band Volcanic Eruption (rather forgettable) are followed by some truly excellent funk with the Cleveland band Hot Chocolate. Initially a trio, with Ragland, George Pickett on bass, and Tony Roberson on drums, the group released one album in 1970, Hot Chocolate, reproduced here with extended tracks added. Their music is gorgeous, minimalist soul/funk, some with vocals, others purely instrumental jams with a bit of psychedelic influence. Great stuff. 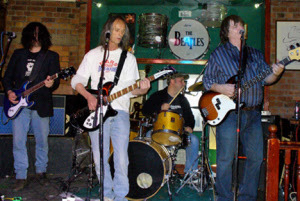 A couple of tracks tacked on at the end feature a larger version of the band, with keyboards, strings, and more background vocals. “I Can’t Take It” has a later-day Temptations feel to it, while “What the Doctor Prescribed” harks back a few years to a more straightforward soul-style. The second CD, titled Understand Each Other or Lou Ragland is the ConVeyer, depending on how you read it, is billed as Ragland’s rather than Hot Chocolate’s. However, members of the group played on many tracks, along with a bevy of other musicians prominent in Cleveland in the early 1970s (one long track is credited to a group called Wildfire). Some songs are soul, some are funk, but all of the material is high quality, well-recorded, with great vocals and instrumental breaks. Some of the songs feature socially-conscious lyrics, while others are rave-ups or ballads. Ragland’s voice is highly expressive, one minute plaintive, the next, angry or exalting. The last CD in the set takes us back to Hot Chocolate in its larger incarnation and in a live recording session for Agency Records. Songs are extended, with no tune under four minutes. The sound quality is considerably poorer than the other CDs because the tracks are taken from DAT tapes rather than the masters. However, the musicianship shows through. The use of strings for density and depth is unusual here, with little brass showing, and the result is a deeper, edgier sound. The group covers some songs here, including “The World is a Ghetto,” “Could It Be I’m Falling in Love,” and curiously, “Brother Louie,” the hit for the British band of the same name. The last track is a blow-out, a ten-minute extended version of “Good for the Gander,” which shows up in a briefer version on the first CD. This one is heavier, sounding more like later Sly Stone with a touch of Hendrix. It’s remarkable how such amazing recordings could be hidden away for so long and so poorly promoted back when they were new. Some might chalk it up to Ragland staying in Cleveland while others left to become famous elsewhere (Starr, the O’Jays). What else is out there that hasn’t yet surfaced? Personnel: Lou Ragland (vocals, guitar), members of Hot Chocolate, Volcanic Eruption, and various other musicians. CDs: Hot Chocolate, Understand Each Other/Lou Ragland is ConVeyer, Lou Ragland and Hot Chocolate Live. We have occasionally been asked why we call the blog Buzzard Tracks. It's simple. 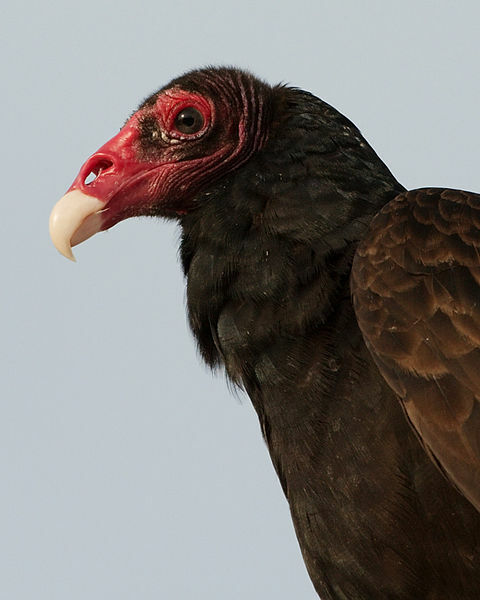 Every year on March 15th, the turkey vultures (Cathartes aura), or locally, buzzards, come back to roost in Hinckley, Ohio. They've been doing since 1957, and they are locally celebrated much the same way Groundhog Day is celebrated elsewhere. We have adopted it here as sort of a mascot. You will see it often. The buzzard was also for years the mascot of WMMS Radio, but has been retired. 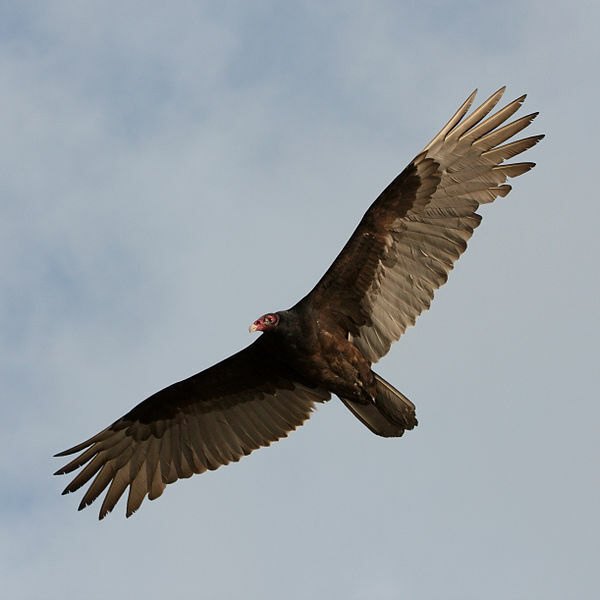 We do not refer to that buzzard, since it is a copyrighted image, and we would never, ever violate copyright. Ohio Jazz: A History of Jazz in the Buckeye State. By David Meyers, Candice Watkins, Arnett Howard, & James Loeffler. Charleston, SC. : The History Press, 2012. Paperback. Books like this are few and far between for most cities and states, and so one must cherish them. While not comprehensive, Ohio Jazz gives us a glimpse into the world of the genre, a place to start, and an anchor upon which to build further. For that, the authors, collaborators on a couple of previous books on music in Columbus, should be congratulated. Of course, since the authors are denizens of Columbus, one should not be surprised to find a preponderance of Columbus-related jazz history. They already had a lot to work with, and included significant amounts here. But they give no short shrift to other cities, with Cincinnati, Cleveland, Toledo, Dayton, Springfield, and other towns getting a share of the credit for the historical and current scenes. In fact, I was surprised by the number of times both Dayton and Springfield came up (clearly my own ignorance showing). I kept rooting for Northeast Ohio with every turn of the page (while not born here, I’ve lived here for 30 years), and came away with more than two dozen names of musicians from this part of the state who I did not know were associated. This is why I got the book. Writing a quick review is just a secondary idea. So, what’s good about this book? It is in large part a reference book. The initial chapters are mostly arranged chronologically, from ragtime to the present, while the second part of the book is an alphabetical batch of 60 short biographies of musicians from around the state, some big names, some not, depending on your depth of jazz knowledge. I only knew of 34 of the 60, and I’ve been digging around in jazz for a while. Many are huge names: Art Tatum of Toledo, Albert Ayler of Cleveland, Billy Butterfield of Middletown, Wild Bill Davison of Defiance, Harry “Sweets” Edison and Rahsaan Roland Kirk of Columbus, just to name a few. You can find more information about any of them in places such as the AllMusic Guide, or an encyclopedia, but you won’t find them tied together geographically, like they are here. The chapters give a good, if somewhat dry overview of each phase of jazz history, with the connections between that phase and Ohio musicians. The chapters are rather breathless in their tone, because there’s so much to cover. There are many lists. But if you’re a jazz fan, that won’t deter you from working through them to find the information you want. What doesn’t happen here is a good feel for the jazz scene and history of each city. But a scene involves more than just who was born here or educated here. It includes the clubs, the juke joints, the nightlife, the interactions among musicians and fans. Little of that is here, since each city would require its own book. That kind of approach requires an extended historical monograph involving examination of primary sources and interviews with those who remember those scenes. Joe Mosbrook (mentioned in the text) has been doing that for Cleveland for decades and hasn’t finished. The authors have done some of that work for Columbus in one of their other books. There’s so much more work to be done. This book will be most appreciated by jazz history aficionados, music historians with a geographical bent, and reference librarians, like me, who need to parse out this kind of information. Every library in Ohio ought to have it. Scaggs is technically another one of Northeast Ohio’s favorite sons, although he might not claim the honor himself. Born in Canton, Ohio, his family moved Oklahoma, then Texas when he was still young. He’s had a long career, beginning in the 1960s, peaking in the 70s with a string of gold and platinum albums, then fading from the musical scene for most of a decade. Another string of 90s releases has been followed by more sporadic albums and touring with Donald Fagen and Michael McDonald. He’s also had time to start his own winery in the Napa Valley. This is his first studio album in about five years, and the results are pretty spectacular. Memphis was recorded, appropriately, in Memphis, specifically Royal Recording Studios, home of albums by Al Green and Ann Peebles, among others. Mixing covers of “Rainy Night in Georgia,” “Mixed Up Shook Up Girl,” and “Corrina Corrina” with some lesser-known tunes, Scaggs mixes up styles, sounding sometimes a bit like Green, other times a little like Van Morrison, and most often like himself. The result is part R&B, part blues, part rock, but all Boz. His voice is still strong and sweet, and uniquely his own. He still has the falsetto, which he uses to great effect. The slow burners, like “Can I Change My Mind” really show off his sinuous vocals, while rockers like “Cadillac Walk” and “Gone Baby Gone” are great rave-ups. “Dry Spell” and “You Got Me Crying” are fine loping blues, that may be my favorites on the album. Scaggs and his producer, Steve Jordan, have the good sense to surround him with great musicians. The basic band of Jordan, Ray Parker, Jr., and Willie Weeks, supplemented by dozens of others for specific tracks, including Spooner Oldham on keyboards, Charlie Musselwhite on harmonica, Keb’ Mo on slide dobro, and the Royal Strings and Royal Horns, because how could you be there and not use them? The only disappointment for me is “Love on a Two Way Street,” which has never been a favorite of mine, and seems rather flat. Others may disagree. 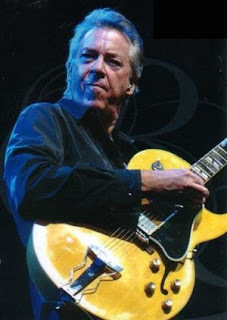 Everything else is great, and I’m glad to see Scaggs back and in high gear at 68 years old. It gives me hope. 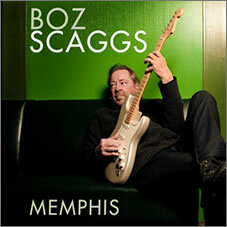 Personnel: Boz Scaggs (lead vocals, acoustic and electric guitars), Steve Jordan (drums and percussion), Ray Parker, Jr. (acoustic and electric guitars), Willie Weeks (upright and electric bass), and a whole batch of assisting musicians. Tracks: Gone Baby Gone; So Good to Be Here; Mixed Up, Shook Up Girl; Rainy Night in Georgia; Love on a Two Way Street; Pearl of the Quarter; Cadillac Walk; Corrina, Corrina; Can I Change My Mind; Dry Spell; You Got Me Cryin’; Sunny Gone. Harmonia and Folk Sounds Records, 2012. 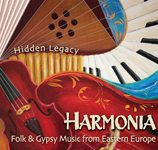 Founded by Walt Mahovlich, Harmonia is based in Cleveland but members call a diverse range of geographic areas “home.” This brilliant Eastern European-themed group compiles music from Hungarian, Croatian, Slovak, gypsy, and other former Soviet-bloc cultures, with a prominent klezmer musician thrown in for giggles. The band not only features full-bodied Eastern European music, but is also fluent in the culture and traditions of Eastern Europe, through personal experience here and abroad and more academic study. What shines through their music the most, to me at least, is the combination of performance and love that goes into each piece. The musicians in Harmonia are not simply playing music, but recreating a sense of homeland using music, dance, clothing, and history. This cultural richness both sets them apart from many groups while also making them right at home in the Northeast Ohio-Northwest Pennsylvania area, with its strong eastern European communities. Harmonia’s sound is rich and complex, with plenty of sounds that many Americans won’t be used to. Most tunes are very danceable in a moderate, hip-shaking, belly-dancing way, and a few cross into bouncy upbeat tunes that get anyone moving. The unusual-to-us instrumentation is a treat, especially the klezmer pieces with the strong accordion and violin usage. The Roma selections have you seeing bangle bracelets, hip-shawls, and campfires easily, and can even make dinner a workout as you shimmy around the kitchen (preferably while frying things). The lush sound isn’t just for those of us who already appreciate WCPN’s Slovak hour and other cultural programming, but nearly anyone who likes to enjoy life and indulge in simple hedonism once in awhile. Reeling right into the swing of things, Romanian Ritual Dances grabs your attention and lets you know that this is not going to be a standard American folk CD. Instrumental, punctuated by shouts in a foreign language, the sound is something that could have come from any number of nationalities. “In the High Pasture” is a flowing pastoral work highlighting Beata’s vocals and Andrei’s wind skills. Anyone who’s familiar with Slavic Village area of Cleveland and the churches there will recognize a good polka, and “Ukrainian Polka” is solid without being stereotypical so even non-polka fans can enjoy the piece. 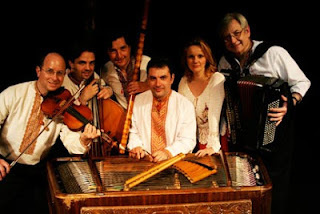 “Songs from Vojvodina” begins grand and sweeping with cimbalom and vocals, and then winds into a rousing vocally driven section. This pattern repeats through the song, and reminds me of a song fit for a cabaret show. “Hora from Bucovina” has wonderful accordion and violin parts that let the listener focus on the interplay of the players and less on the individual instruments. The beginning of “Slovak Shepherd Song” is a bit disconcerting with what sounds like a didgeridoo starting out, until you Google “Slovak didgeridoo” and find out that there is in fact a Slovak didgeridoo called the fujara. And then the song is over and you have to go back because you missed the beauty that is a “Slovak Shepherd Song.” “Seven Step Hora” is one of the most danceable tunes and should not be played in a confined space unless you’re far more coordinated than I am. “Mother’s Lament” lets you recover from all the twirling while listening to more heady woodwinds. “Moldavian Stomp” has the sounds of dancing to go along with the dancing rhythm. Weary feet drag at the beginning of the “Roads of the Roma,” like weary travelers driven from every home they’ve known, but as the music continues, spirits lift, as they are wont to do when there’s good music to be enjoyed. “Sunrise Song from Transylvania” is brief but sweet, and a nice lead up to “Hungarian Dances from Transylvania.” Sounding almost out of tune, the cimbalom in “Forgive Me, Mother” plays in Beata in a gentle, downcast tune. This leads into “Hungarian Suite in Gypsy Style,” which builds over the course of the song into a faster pace, which slows down again at the start of “Ukrainian Mountain Music,” only to crescendo quickly again before the album is finished. Personnel: Walt Mahovlich (Accordion), Alexander Fedoriouk (Cimbalom), Beata Begeniova (Vocals), Steven Greenman (Violin), Jozef Janis (Violin), Andrei Pidkivka (Panflute/Nai, Sopilka/folk flute), Branislav Brinarsky (Bass), Fujara, Gajdice (Vocals), Ken Javor (Bass).